I won't be posting for a few days,as John and I are going to visit friends near Portsmouth.We haven't met up for several years,so there will be plenty of catching up to do. Many thanks for all your views,comments and favs,always much appreciated. Happy first day of spring!! 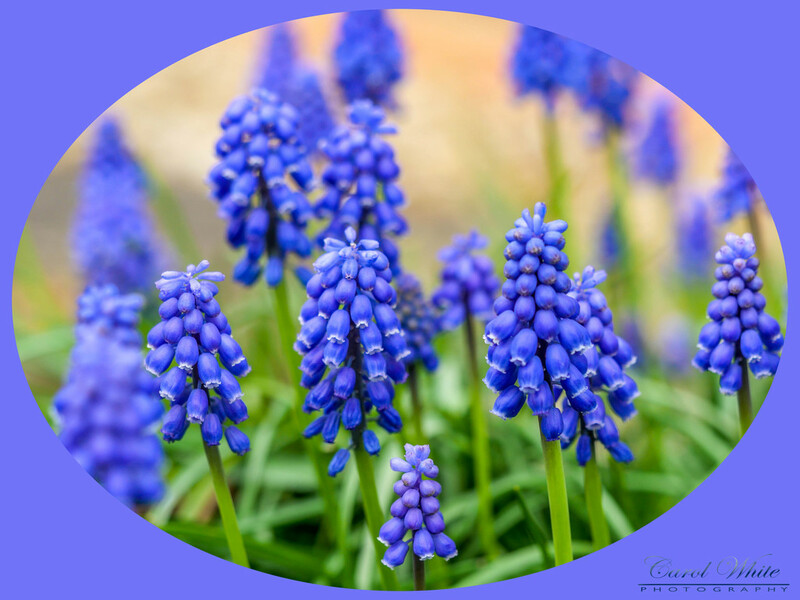 Great details on the 'bells' of the hyacinths and nice, subtle tones that bring out their shape. It's exciting to met up with old friends after so long; hope you have a wonderful time. These are so beautiful!! Love the framing!! Lovely flowers and beautifully framed. Enjoy your days with your friends. Lovely shot with beautiful colors. Beautiful tiny things aren’t they? Enjoy your break. Lovely. Have a great time away. Instant fav! My father used to say that any color was fine as long as it was blue. I agree with him. So beautiful with a great frame! What a wonderful color, and you found a frame for it too! Cool. Beautiful shot. Love the framing. So pretty and my favourite colour! Lovely image and framing, fav! A wonderful sign of spring. Framing works well. I love your processing. Great shot of these lovely spring flowers. Such a gorgeous color, and it shows up so nicely against the green.